A personalised invitation card to my group exhibition, Momentary. It opens this Wednesday, December 3 at 6.30pm. 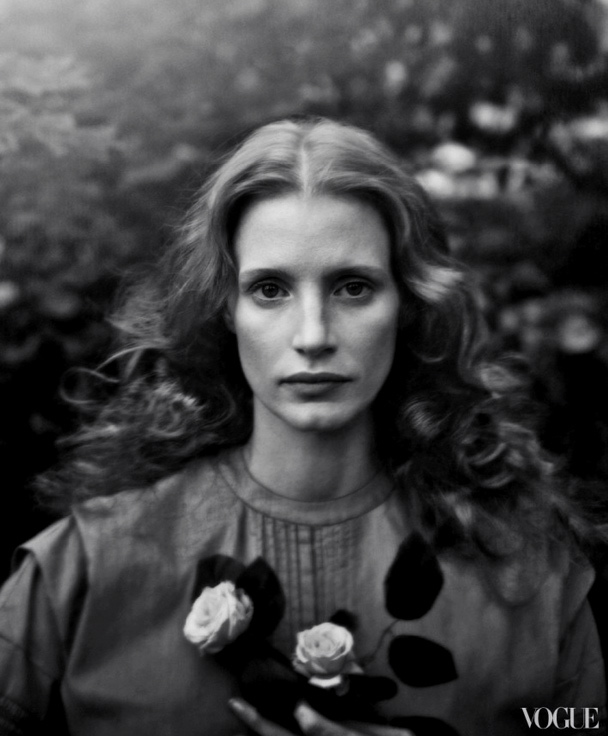 This lovely image is a portrait of the actress Jessica Chastain by Annie Liebovitz, made in the style of 19th century photographer Julia Margaret Cameron. It’s as good a photograph as the Camerons that inspired it. And why not – Liebovitz has had forty years to absorb the lessons of Cameron; she had a hair, makeup and costume team, the best equipment, and a first class actress for a model. In the 1860s Cameron did it alone, using amateurs for models, and the most difficult technique in the history of the medium. All this just twenty years after photography was invented. Hats off to both of them. This Cameron is one of eight photographs that Vogue magazine commissioned from Liebovitz, published in last year’s December issue and available here on Vogue’s website. 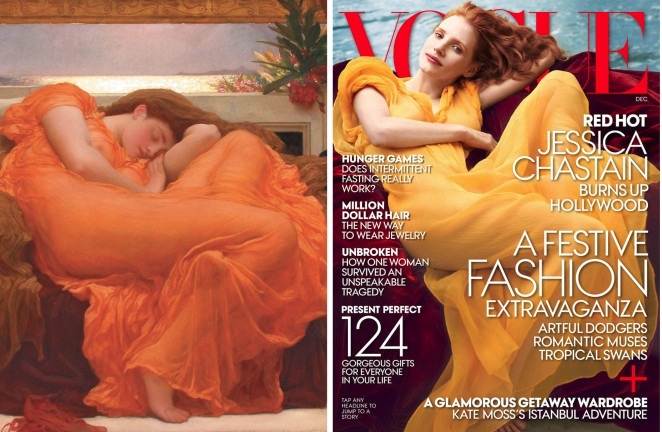 Jessica Chastain poses in each of them. 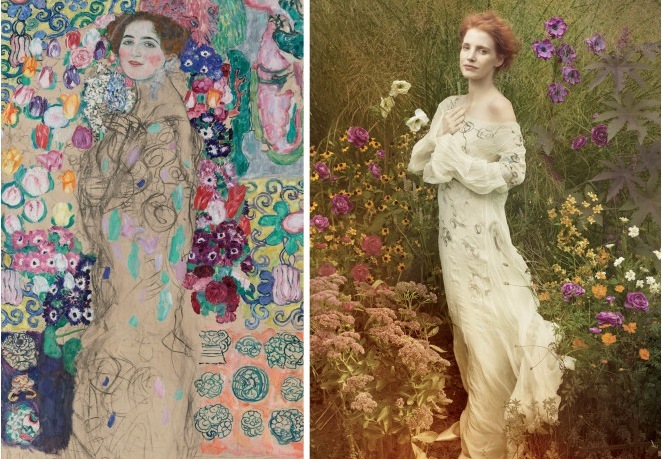 They’re all based on historical artworks, by Van Gogh, Magritte, Matisse, Anders Zorn, Felix Vallotton plus Cameron, Leighton and Klimt shown here. My last exhibition for 2014 is a group show called Momentary, opening next week at Tacit. This is the third annual exhibition with this group of friends who are former students of mine. The theme is the word momentary, chosen for its allusion to the photographic process but open to wide interpretation. My work is a series of prints taken from the engraved portraits of the 19th century poet John Greenleaf Whittier. Each of his six-volume complete works published in 1888 contains a portrait made at a different stage of his life, from young to old. 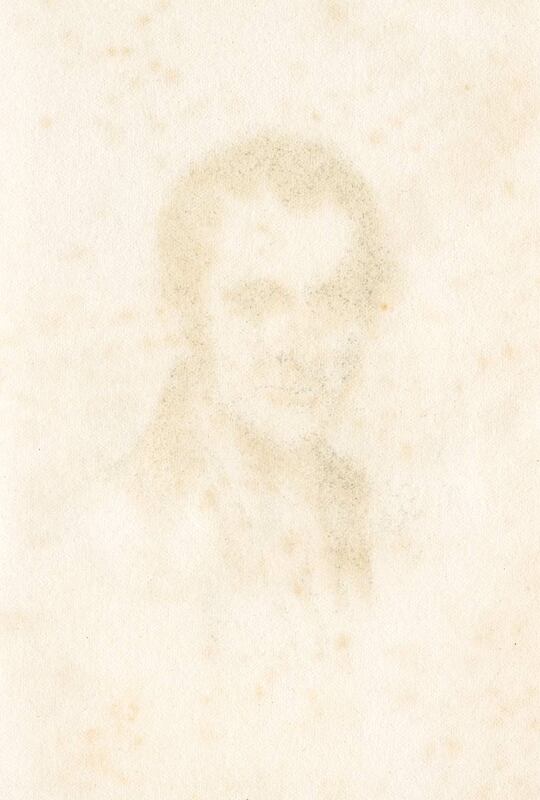 The discolouring and fading makes a beautiful and melancholy image. 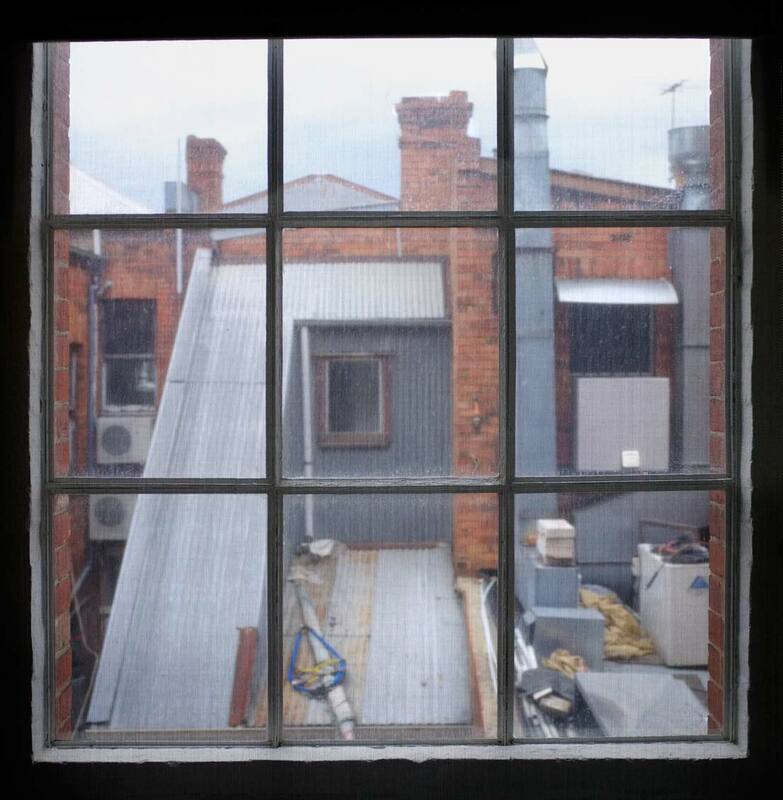 Momentary opens at Tacit Contemporary Art, 312 Johnston Street, Abbotsford at 6.30pm on Wednesday December 3. Joseph Michael Lopez is a New York photographer whose dramatic images recently featured on the New York Times photo blog, Lens. 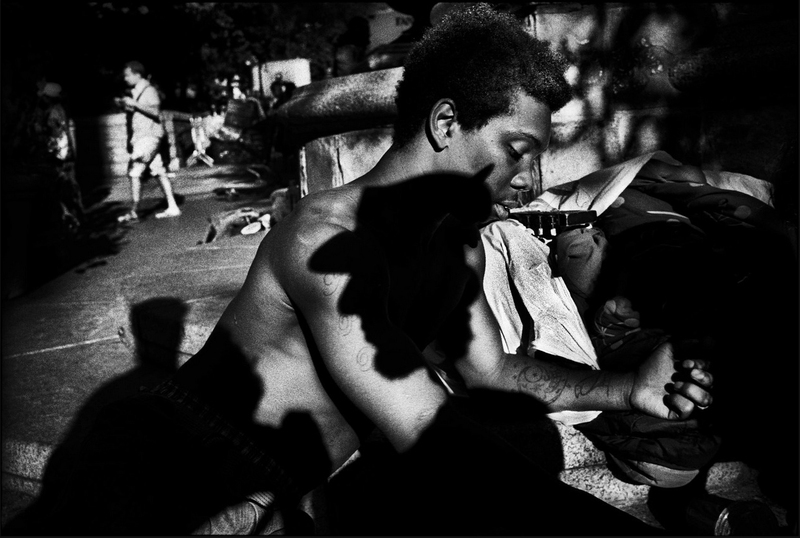 Lopez divides his time between commissioned editorial work and longer-form photojournalism but there is no mistaking his intense imagery for documentary photography. He shoots on grainy film, ramps up the contrast and looks for contrasty light. 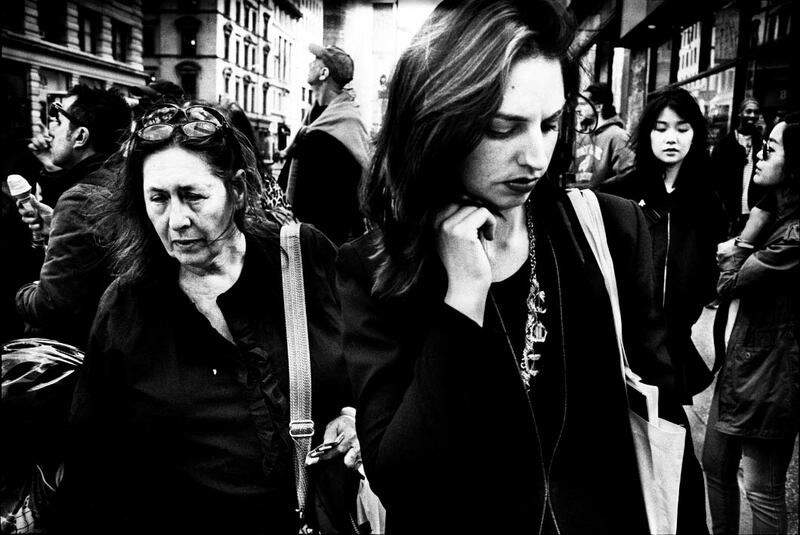 Joseph Michael Lopez’s photography is fundamentally about his New York. He presents street scenes, people and everyday objects without any semblance of objectivity. To see how his singular imagery works in a published, editorial context, see this link on his website. This is my image for the 2014 CCP Salon which opened last Thursday. It’s from my Burn series that I exhibited at Edmund Pearce Gallery last August. This year the Salon is larger and, I think, better than in previous years.